Okay, we've talked types of diapers and types of inserts- now it's time to talk types of closures. 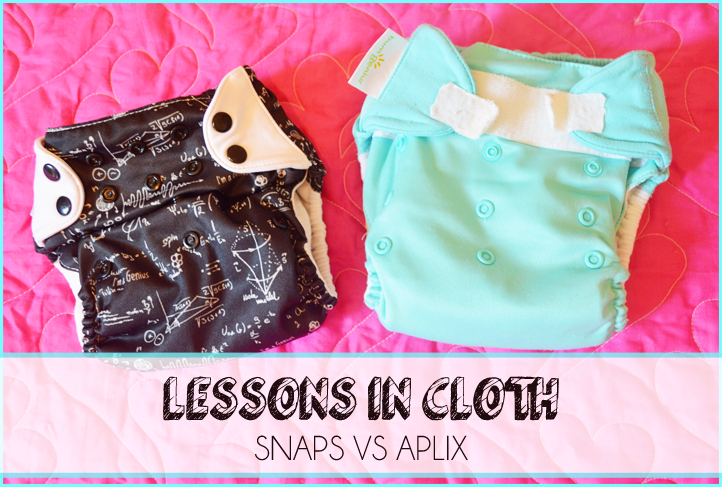 If you've been shopping for diapers, you've probably already seen that many cloth diaper brands offer two closure options- snaps and aplix. First of all, what on earth is aplix? Aplix, Velcro, Hook and Loop...all the same thing. 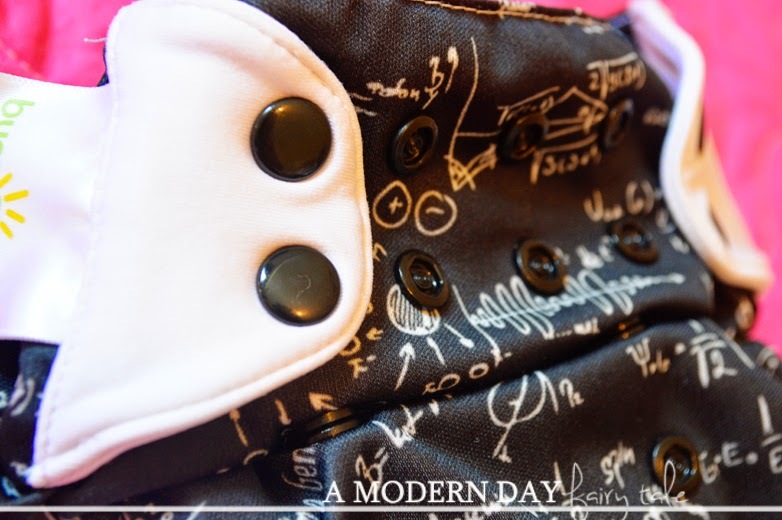 Velcro and Aplix are actually specific brands of hook and loop, but I use it in this post because it seems to be the mostly commonly used term in the cloth diapering world. So, which is better? Which should you get? Like many things with cloth diapers, it all comes down to personal preference. Both closure types have their pros and cons, and ultimately it's all about what meets YOUR needs. When it comes to being easy, aplix takes the cake. Snaps- though not necessarily difficult- certainly are the more time consuming option, and when you have a wiggly, on-the-go baby it can get a little complicated. 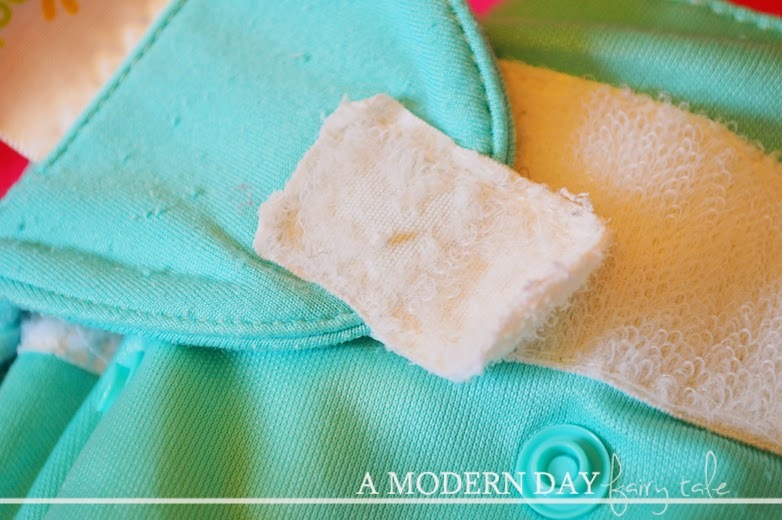 For those new to cloth diapering, aplix is an easier transition from disposables. Aplix may be the easiest, but snaps tend to hold up the best. If you've ever owned anything with aplix, you know that it tends to attract anything and everything. Personally, I have the WORST hair when it comes to staying on my head and am always finding my own hair getting tangled on it...yuck! In time and after many washes, I've also found it becomes less and less sticky...under a onesie, less than sticky aplix doesn't seem to present much trouble, but if you're like me and like to leave diapers out for the world to see, you certainly want them to stay put on their own. Snaps, in my experience, last MUCH longer. When it comes to adjusting the fit, snaps can sometimes be a little tricky. There is only so much room for adjustment, and if baby is between snaps...good luck! Aplix makes for a much more custom fit. This is especially great for small newborns. Every baby at one point or another reaches the streaker phase. You know, when they cannot help but to remove their diaper? Disposables or cloth, it doesn't matter! But for the cloth diapered baby, a diaper with snaps is much more difficult for baby to remove themselves...which means less surprise messes for mommy to clean up. What does closure type have to do with laundry? That goes back to everything getting caught in aplix... Every aplix diaper I've ever seen DOES have a laundry tab, but this does add an extra step in your routine- making sure this is closed. I'll be honest, I usually forget and find my few aplix diapers getting snagged on an insert. This can add some wear to your other diapers and inserts as well. One of the great things about choosing cloth diapers is that when your baby is done with them, you can resell them and get some of your money back. Because snaps tend to stay looking and working better longer, you can generally sell them at a higher price than a velcro diaper used the same amount of time. So, what do I prefer? While you will find a few aplix in our stash, I most definitely prefer snaps. I personally think they look nicer, hold up better and I don't have to worry about making sure they don't snag anything in the wash. I do like having those few aplix in our stash for those (rare) instances when someone other than myself is changing the diaper. They are more grandparent/babysitter/non-cloth diaperer friendly. 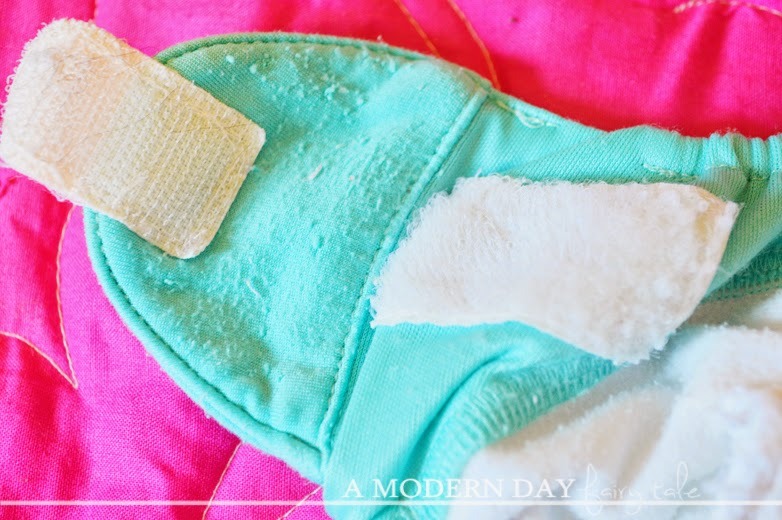 They are also great for newborns to get that perfect fit (and because newborn diapers are worn for a shorter time frame than one size- you won't see the wear and tear so much!). To me, it is worth that little extra work for something that will last longer while looking better...and stay on once we reach that point! If you want the ease of use and an easier transition from disposables, aplix might be your prefered option. Or you can have a mix of both for all your cloth diapering needs. The possibilities are endless. As with all things cloth, it is always a good idea to try a variety to learn what works best for you and your baby! Do you use snaps? Aplix? A combination? Why did you go that route? Any advice on closure types for the mommy out there just beginning to use cloth?